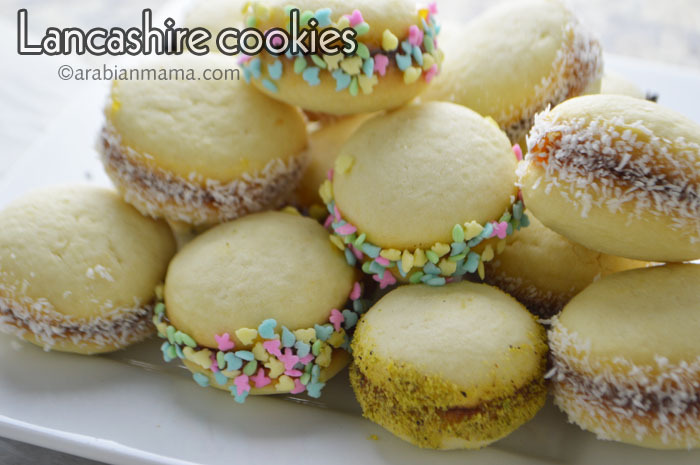 Easy,buttery and very delicious bite-sized cookies/biscuits that are very famous in Egypt during Eid days. We are almost there… the end of Ramadan is in few days. It always seems hard at the beginning of Ramadan then… days fly by and it is time to say goodbye to this precious and holy month. After the last day of Ramadan comes the 3 days of Eid. Although Eid is the time harvest and rewards for your hard work of discipline during Ramadan, there is always something that breaks Muslims’ hearts at the first day of Eid, which is parting with Ramadan. 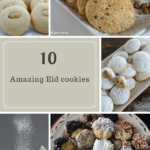 Eid is also a great time for making memories with your kids, I still have vivid memories of my mom baking delicious cookies with neighbors from around the world back in Saudi Arabia. 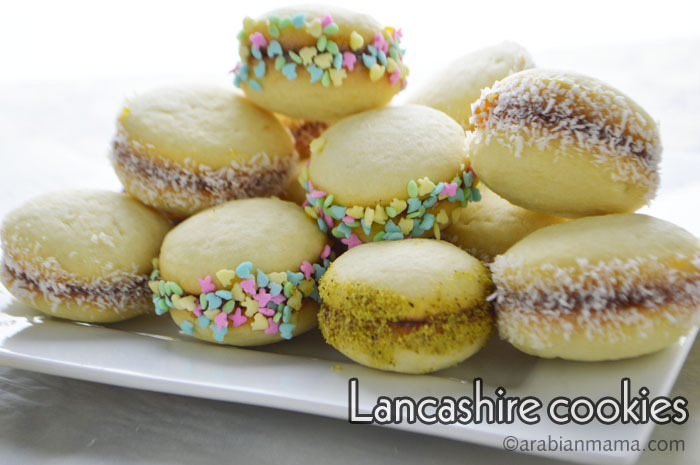 For the Eid we prepare lots of cookies like Kahk, betefour, Ghorayeba and this Lancashire cookies. 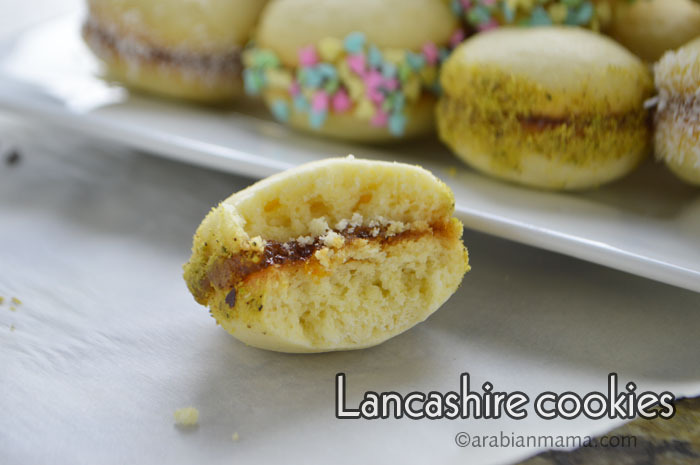 Lancashire cookies originated in the UK and seems it traveled to Egypt during the British occupation period and although I do not like occupations or whatever comes with it, I like these cookies so much that I might forgive a year or two of their 74 years of occupation :). My kids liked these cookies a lot and the whole patch was gone in no time. These were great snacks for them at school instead of store bought ones. 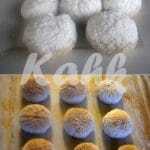 Here is a short video to show you how to make these delicious cookies. Eid mubarak for everyone observing this great day. Enjoy the rest of the week. 1 3/4 c unsalted butter- room temperature. 1 egg + a dash of vanilla powder. Jam Nutella chocolate, ground nuts and coconut flakes for garnishing. In a bowl cream the butter. Until it gets white and fluffy. Add the powdered sugarو egg and the vanilla and mix. Sift the flour, corn starch and baking powder. Gradually add to the butter and mix well each time. Until you get a nice, consistent dough. Form small balls, press lightly against the cookie sheet. Bake in a 350F pre-heated oven for 25 minutes. Stick every two cookies together with your favorite jam. 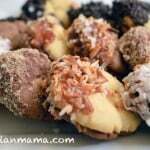 Roll in ground nuts or coconut flakes. Thank you for sharing this recipe! Do you have any storage instructions for these? How far in advance can I make them? How long can they stay out at room temperature? N, thank you for your interest in this recipe. I would recommend storing them as we do with butter cookies in an airtight container lined with wax paper and putting a piece of wax paper in between cookie layers. It is recommended that cookies will stay at room temperature for 3 days but frankly I think up to a week is ok. If you would like to make them ahead, bake them and store them in the freezer for up to a month. I hope that will help. This one is so delicious, try it and tell me how did it go. Fun cookies filled with Nutella… the dream of every child (and adult as well!). 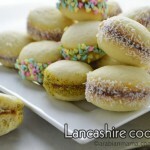 Mmmm, these cookies (sweet biscuits) almost look like French macarons, but easier to make. I think I’d fill my with nuts and dates! This is a great idea Fran, thanks for stopping by. Eid Mubarak dear Amira! I hope you had a wonderful one with your family. These cookies are perfect for celebrating and I could very easily eat all of them! Yes sure, use whatever handy or whatever you like most to glue them. Eid Mubarak to you too my dear. I hope you’ve had a lovely Eid back in Colorado. Eid Mubarak my dear sister! Eid Munarak to you too my dear Henna. How is your little one doing in her first Eid :). Thank you for the explanation Amira. I’ll try it this summer. For sure my little one will love it. Me too! Have a blesse Eid dear! I tried it yesterday and it was SO GOOD:) Thanks Amira for sharing this recipe! I was thrown off by the name at first lol but you explained. I so want to eat your posted cookies, they look great. Enjoy the rest of Ramadan and the Eid festivities. 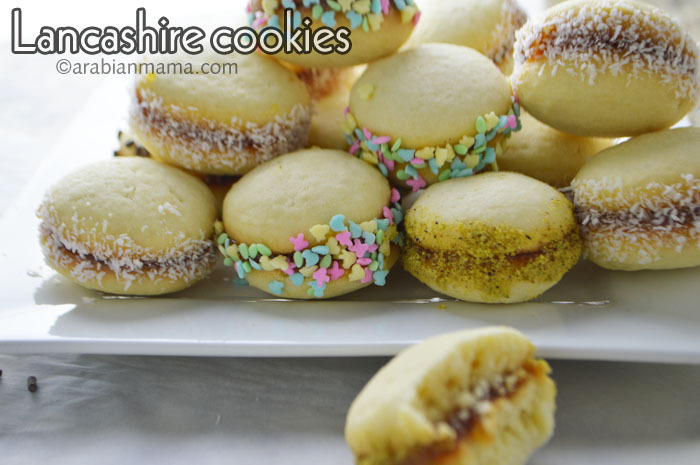 These look absolutely delicious Amrita! I could go for one or two with my coffee right now! Hope you have enjoyed your holiday! Pinned and shared!